There are over 30,000 edible plants, but we only consume around 150 of them. Believe in Bambara is one company that wants to change that. The business-to-business (B2B) supplier is dedicated to introducing the bambara groundnut, a sub-Saharan grain legume, to the U.S. plant-based protein market. Bambara is a climate-smart, drought-tolerant and versatile plant-based protein that also help to fix nitrogen in the soil. The company partners with a women’s cooperative of smallholder farmers, so it also support local economic development. Below, I speak with co-founder Tamara Cohen about why and how her startup is bringing the bambara to the US. 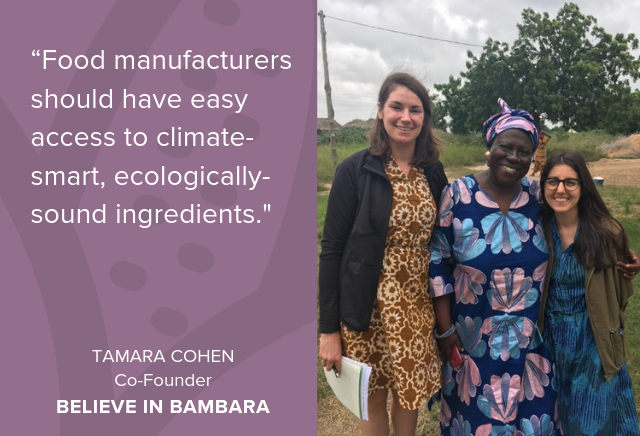 Tamara Cohen: Biodiversity drives everything we do at Believe in Bambara, because our work is built on the belief that food manufacturers should have easy access to climate-smart, ecologically-sound ingredients. The bambara bean has all the prized attributes crop scientists have been trying to emulate through genetic modification. This realization led us to pursue the opportunity to provide an underutilized and more sustainable alternative to the commodity crops and dominant plant-based proteins currently available on the market. Our commitment to diversifying food ingredients is informed by science that there exists in nature lesser-known species that may be more efficient and more effective than the few food crops we’ve come to rely on. DG: How does Believe in Bambara define and think about biodiversity? TC: As an ingredients supplier, when we consider biodiversity we are focused on agricultural practices that give back to the land in order to promote growth of other species. We absolutely reject the idea that crops should be cultivated as part of a monoculture. Biodiversity includes taking into account all of the ecosystem’s species, especially those cultivated for consumption, and considering how they can work together to promote soil fertility and pollination. DG: What is Believe in Bambara doing or planning to do to promote biodiversity? TC: To implement our beliefs, we have partnered with a cooperative of smallholder women farmers in West Africa that practice sustainable and regenerative agricultural practices, such as intercropping and crop rotations. None of these practices are new to these farmers. They’ve been using the bambara bean in their crop rotations as a nitrogen-fixing crop for decades as part of their holistic regenerative agricultural practices. As we expand our operations, we will seek opportunity to work with cooperatives in regions that have a more acute need for sustainable agricultural development, due to limited resources or unfavorable conditions. Bambara thrives in areas where most other food crops would not take root, so we are excited about the possibility of regenerating non-arable land through its cultivation. TC: There has to be a two-fold strategy in investments in biodiverse food systems to allow companies, like ours, that are working on promoting underutilized crops to rapidly expand and scale our supply chain. First, without economies of scale we won’t be able to compete in the market with commodity crops such as wheat, corn and soy. Margins in food are small, and, unfortunately, a lot of companies are looking for a supplier that can help them keep their expenses as low as possible. This ties into the second part of the strategy: farm subsidies. It’s widely known that farmers have been cashing in on food crops thanks to generous government subsidies. Eliminating the subsidies on these commodity crops would level the playing field and allowing these crops to compete with prices that are more reflective of the cost of production. A food system that ceases to invest in and reward industrial, monoculture farming would be increasingly beneficial to biodiversity. TC: One of the biggest challenges is consumer education, which is why this interview series is so important, because it’s raising an issue that many people, even within the industry, haven’t contemplated. Without consumer demand for more biodiverse plant-based proteins it will be difficult for us and other companies working to diversify the food supply. Despite being a B2B supplier, we are actively working to tackle this challenge by putting ourselves in front of consumers at trade shows and events to introduce them to bambara in an interactive way, where they can see, feel and taste the ingredients and also learn about why it can be so beneficial for climate-smart and regenerative agriculture. We think of these encounters as something like a science fair, which makes each visit fun for us and the attendee. 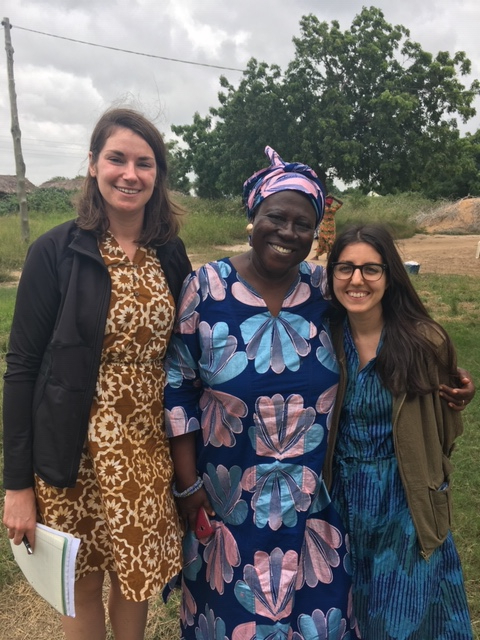 We’re also grateful to have wonderful partners that share our values and are working on their own to raise the profile of bambara through education, research and advocacy. TC: We have partnered with an established women’s cooperative of smallholder farmers for our sourcing of the bambara beans. This partnership has been great because they have the ability to rapidly scale thanks to their presence in dozens of rural communities in Ghana and their existing familiarity with the crop. As demand increases we plan to expand our sourcing to include other regions in Sub-Saharan Africa with the same opportunity, organized smallholder cooperatives and an acute need for sustainable agricultural development. TC: The visibility that consumer-facing companies have is unparalleled, and they have the ability to introduce the terminology to the zeitgeist. Incorporating the ingredients is not enough, they have to talk about it, elevate it and educate consumers about why biodiversity is so important. Consumers have now become accustomed to learning about a product through key icons, such as those that denote that an item is vegan, gluten-free, fair-trade or organic. Maybe a next step can be a icon that highlights that a product or dish promotes biodiversity? DG: How might a more biodiverse food system influence the typical selection of products we see in a grocery store? TC: The exhibit The Future Market put on the Fancy Food Show was a great example of what we can expect to see in the future, with familiar products made of underutilized and biodiverse ingredients. Unless we have a radical change in the types of food that people consume, I believe the products available won’t necessarily change drastically. What will change, though, will be the ingredients used to produce them. These will be ingredients that are chosen because of their environmental and social impact, rather than the bottom line for the manufacturer. I am confident though that as these ingredients come to scale their pricing will become competitive with the commodities we’re so used to seeing on our shelves. TC: It’s really encouraging to see how many brands are now going into regions that have been previously neglected by the business community to source ingredients, while simultaneously providing a vehicle for economic development for the local farmers. 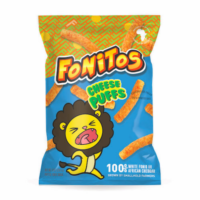 Two major examples of this being companies like Yolele and Kuli Kuli that have brought fonio and moringa to the US market, respectively. Our company is obviously following in those same footsteps, as we believe that we may be able to identify crops in these areas that have previously been underutilized. I believe that we’re only hitting the tip of the iceberg, and there are likely hundreds if not thousands more food crops that have not yet been identified by parties that have the resources to bring them to market. 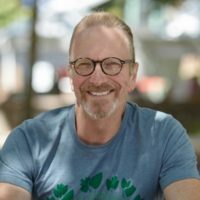 TC: I would love to be able to pull up to a fast-food restaurant window and be able to access these ingredients, rather than having to shop at a specialty market or high-end restaurant. There are a lot of necessary innovations that will have to be adopted simultaneously in order to meet the needs of the growing global population. In the future, long-haul transit of food ingredients should be reserved to those products that have an extremely long shelf life, like grains and pulses, while regional markets will should specialize in the native species that will be consumed fresh, such as herbs, fruits, and vegetables. Tamara Cohen is a co-founder of Believe in Bambara, where she leads efforts to introduce the bambara bean (vigna subterranea) to the US and world market. 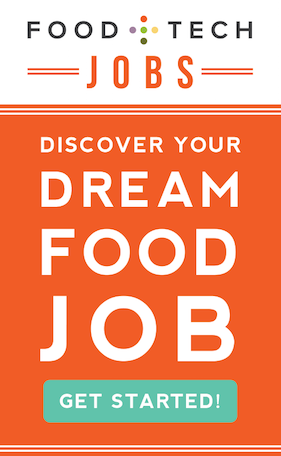 Believe in Bambara was conceived by Tamara and her co-founder, Holly Tassi while completing their undergraduate degree at Syracuse University. Prior to Believe in Bambara, Tamara spent four years at a New York tech firm where she specialized in business-to-business sales and account management for the digital publishing industry. Previously, Tamara was based in Tel Aviv and Jerusalem where she worked with Kav La’Oved – Worker’s Hotline advocating for the rights of the increasingly vulnerable populations of migrant workers in Israel. She also worked at the Institute for Monitoring Peace and Cultural Tolerance in School Education (IMPACT-SE) coordinating research papers on the education of peace and tolerance in various Middle Eastern school curriculum. 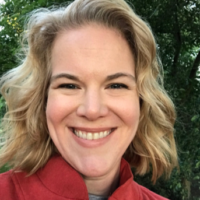 Tamara has a MA in Global Migration and Policy from Tel Aviv University and a BS in Entrepreneurship and Emerging Enterprises from Syracuse University. She is also an active member of various community organizations, such as IfNotNow, the Park Slope Food Coop, and The Wing.